In many ways, Obama's story provides a possible model for black� descended multiracial people in that racial acceptance and success�depends on an identity that is closely tied to blackness. In the larger�sense, Obama reconciles the tensions between what G. Reginald Daniel has called "multigenerational multiracials," that is to say, the category that most African Americans fall into as a racially mixed people, and "first-generation" multiracial people who have one parent that identifies as monoracially white and another that identifies as monoracially black. The question is: does this require an African American identification or can it simply be a multiracial identity that affirms one's connection to the African Diaspora and the black experience? Had Obama identified more with the white side of his parental lineage, or even more strongly as a mixed race person, many Americans might not today know the name Barack Obama. The important point to take away from this memoir is that in the end, the protagonist, the hero, does not choose a mixed race identity but, rather, an African American one. To do otherwise would surely have antagonized and alienated African American support and acceptance. Anything less than full and absolute acceptance of an African American identity would have cost�Obama severely. Zebulon Vance Miletsky, "Mutt like me: Barack Obama and the Mixed Race Experience in Historical Perspective," in Obama and the Biracial Factor: The Battle for a New American Majority, edited by Andrew J. Joliv�tte (Bristol: The Policy Press, 2012), 149-150. Tanya Katerí Hernández is the Archibald R. Murray Professor of Law at Fordham University School of Law, where she co-directs the Center on Race, Law & Justice as its Head of Global and Comparative Law Programs and Initiatives. extends beyond the actual decision of how mixed-race persons should be counted. What is most salient is how the struggles over the census racial categories have fostered a discourse of exalting personal racial identity and characterizing any incursions on expressions of personal identity as a civil rights issue in of itself absent any mixed-race specific material inequality. 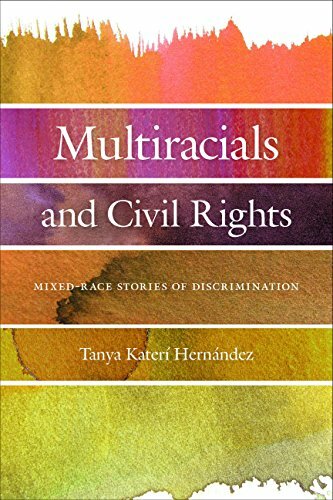 Her new book is Multiracials and Civil Rights: Mixed-Race Stories of Discrimination.